This section introduces analytical, reflexive and creative design strategies that deal with the investigation, interpretation and transformation of contextual knowledge to display specific spatial relations. Two analytic strategies of research-oriented design processes are presented to visualize, evaluate and discover multi-disciplinary information: the associative reading of traces and the diagrammatic visualization through mapping. The critical reading of sources, experiences, sites and conditions aims to decipher the invisible and to objectivize conflicting positions within design towards the opening of new opportunities. Both mimetic imitation and transformation in architectural drawings are based on the desire for knowledge, the human mainspring, the quest for knowing. "Imitation as visualization has an excellent function for knowing [in the process of interpretative drawings]" (…) Whereas the sense for knowing through mimesis is (…) recognition". Quoted from: Gadamer. Grundzüge einer Theorie der hermeneutischen Erfahrung, pp. 119-120: "Nachahmung hat also als Darstellung [in der interpretierenden Sichtbarmachung] eine ausgezeichnete Erkenntnisfunktion." Dabei ist "der Erkenntnissinn von Mimesis (...) Wiedererkennung". Hans Georg Gadamer (1900-2002) was a German philosopher, most recognized for his hermeneutical project Truth and Method (Wahrheit und Methode, 1960, cf. DJSMS: p. 363). At the beginning of a design process in the field of architecture, the desire of a mimetic sensual understanding of a design context lies not only in the mere representation of something that exists. Rather, by disaggregating and filtering the spatial context via an analytical drawing, the drawer's perception of specific characteristics becomes individually visible within the always-already complex contexts. The re-cognition ('Wieder-Erkenntnis') is the acknowledgment of something known (i.e., the individual aesthetic experience) in an unfamiliar context. In this more recognizing ('mehr erkennen'; ibid. ), the feature of something known appears in the drawn through emphasis. A design context is appropriated as well as recognized, materialized, visualized and interpreted by the designing architect in acts of reception and transformation – in the process of drawing and also in analytical models (e.g., three-dimensional displays). This process of the emergence of subjective and interpretative perspectives on something to be explored via representation and depiction makes the individual interests of the designing person visible. This transformative dimension inherent in aesthetic practice is "only possible as something that has passed through the subject". Quoted from: Adorno. Ästhetische Theorie, p. 253: "nur [möglich] als durchs Subjekt hindurch gegangene". Theodor Adorno (1903-1969) was a German philosopher, sociologist and composer, mainly known for critical theory. The German media theorist Dieter Mersch conceptualizes experimental artistic practices of understanding and exploring, focusing on attention rather than truth(s) as practice-oriented recognition ('praxisgebundene Erkenntnis'). Cf. Mersch: Kunst als epistemische Praxis, pp. 37-38. The strategies of designing by diagrammatic research and the reading of traces, which will be introduced in the following, can be understood as tools of a hermeneutically-oriented design practice that centrally positions visual(izing) investigation, depicting analysis of the spatially given as well as the interpretation of sources and resources at the beginning of the engagement with complex questions for the emergence of context-related project results. The exploratory visualization of site-specific characteristics, traces and testimonials of an architectural design context can tell stories and provide narratives about the residents, the history of the places (or sites) and about the social and material conditions of life. Objectivizing readings of cities and plans can serve to expose spatial interrelations. Analyses can visualize locally-bound conditions or spatial programmes, and they can express atmospheric perceptions of the place or detect formerly concealed traces. The range of visualizing interpretations as a basis for a design process is initially very diverse and broad. Hence, the depiction of aesthetic conditions and multi-layered contexts requires conceptual and experimental arrangements. As Mersch points out with regard to the epistemic practice of artistic research, experimental arrangements are necessary because they do not refer to symbolical orders in the way discursive reflections do. As a result, experimental research does not point to abstract or general symbolisms like discursive reflections would, but instead always engages anew with something particular about the respective object or material and space. Mersch: Kunst als epistemische Praxis, p. 38. In the traditional analogous finding process of thoughts through media of drawing or the like, the immediate understanding of the designing architect enters a close relation with the empathetic characteristics of manual labour. A relationship emerges between the drawer and the drawn. At the beginning of the design process, partial characteristics are explored with regards to the finding of a solution – similar to an archaeological search – through processes of sketching, drawing and emphasizing. This way, information is collected and perceptions are crystallized. Cf. Koschatzky: Die Kunst der Zeichnung, p. 20. The analysis of a ground plan, city map, a building or an urban situation via drawing arises from the practice of sensually experiencing the lines, surfaces, masses and their interrelations, leading to the materializing exploration of phenomenologically and morphologically visible information. The isolation of partial characteristics in deconstructing plans such as the figure ground plan ('Schwarzplan') or the city model ('Stadtmodell') initiate a practice of seeing or perceiving, in which individual partial aspects such as the building structures, building volumes, axes, flows of movements, facades or proportionalities, the topographies as well as the structures of traffic etc. are appropriated by the researcher. All this information is contextually located and carved out so that analytic plans can be understood as self-enclosed and homogeneous spatial contexts of meaning. Tools such as photography inhere the immediate possibility to depict, to emphasize or disassemble specific traits as a contribution to the analytical procedure. While the recreating practice of drawing (digital or analogue) and tracing of traits cannot be replaced as a means for the detailed appropriation of spatial conditions or knowledge, yet, the visualization through photographs constitutes an autonomous means of visual research which provides a basis for objectivizing or associative accumulation of knowledge. In his fundamental publication on aesthetic theory, Point and Line to Plane, the Russian artist and Bauhaus Master Wassily Kandinsky explains the deconstructing of complex entities via analytical drawing as a core activity of research-oriented artistic processes of understanding, serving to understand the dynamic relations of the bare elements and their primary forces inherent in the object of aesthetic investigation. Kandinsky: Punkt und Linie zu Fläche, p. 14 ("das Zerlegen durch die analytische Zeichnung; bloßgelegte Elemente und ihre primären Kräfte). Read further: Jäger: Schnittmuster-Strategie - Eine dialogische Entwurfslehre (DJSMS), pp.76 ff: Vom analytischen Zeichnen zum heuristisch transformierenden Entwerfen. A creative analysis can extract selected information about a place via exact observation of plan material and interpretations of on-site perceptions, which can often far exceed the obvious 'knowledge' about a coherent consideration of individual perception. "Drawing always counted as the understanding of the world via the designed." Manual analysis of spatial characteristics of a project's context as point of departure for a design process traditionally constitutes a healing compulsion ('heilsamen Zwang') for those who crave solutions, as architect Theodor Fischer puts it in 1922, referring to the individual who "works with the hand of an anatomist and not that of a butcher, [and thus] always creates new motivation for good and unusual solutions." Quoted from: Koschatzky. Die Kunst der Zeichnung, p. 304: "Das Zeichnen galt immer dem Erfassen der Welt durch das Gestaltete". Quoted from: Fischer. Sechs Vorträge über Stadtbaukunst, p. 52: "der mit der Hand des Anatomen und nicht mit der des Fleischers arbeitet, [und damit] immer einen neuen Ansporn zu guten und eigenartigen Lösungen". Theodor Fischer (1862-1938) was an architect, urban planner and influential professor for modern architects in Berlin, Munich and Stuttgart (Cf. DJSMS, pp. 76-77). The historian and cartographer Karl Schlögel, who provides a cultural historical characterization of the diverse forms of abstract representation of spatial conditions in his publication Im Raume lesen wir die Zeit ('In Space we read Time'), attributes both scientific and ideological concepts to the intellectual reproduction of three-dimensional contexts into two-dimensional depictions. These depictions may bring the place (or site) to mind in its complexity of time and space, in its simultaneity of non-simultaneity and, in the moment of completion, are already part of the past. Through the physical exploration and the visual depiction of spatial ramifications, the space would receive his [sic] veto right, which is considered a central frame of reference for the realization and actualization of people, their histories and politics in complex interrelations. Schlögel: Im Raume lesen wir die Zeit, p. 10, pp. 88 ff. The design process is inherently dependent on processes of decision-making which refer to the future and can ultimately only be assessed in the completion of design phases (i.e., the ‘thinking through’ in advance of the potential, selected possibilities). The procedure of making decisions is coupled with personal experiences and individual normative values. Besides the value of experience, decisions always contain a degree of randomness. Ultimately, the evaluation of possibilities (i.e., the selection of choices) can only be verified in the application of previously established assumptions in the design work (cf. DJSMS, pp. 469-470). Those who are ‘fixated upon’ one only idea at the beginning of the process will have difficulties to develop completely different ideas that exist parallel to this one objective. Important information, which might become crucial for the later design, might not even be perceived because they bear no resemblance with the established ‘fix’ idea. However, as the perceptual psychologist Rudolf Arnheim states, “all seeing depends on seeing relations (…), it is a precondition that relations connect singular parts and that the relation does not transform the pieces.” If the project design is based on an established idea in an early stage of the design process, all following steps of knowledge generation and application, which might be relevant for the result, are treated with regards and in favour of the relevance of this established idea, the Vormeinung (‘pre-opinion’, cf. Gadamer: pp. 270 ff.). Quoted from: Arnheim. New Essays on the Psychology of Art, p. 61: "alles Sehen darauf herauskommt, Beziehungen zu sehen; (...) [e]s wird dabei vorausgesetzt, daß Beziehungen Einzelstücke miteinander verbinden und daß die Verbindung die Stücke nicht verändert." Arnheim (1904-2007) was a German-born author and one of the leading perceptual psychologists of the 20th century; see "Art and Visual Perception: A Psychology of the Creative Eye", published first 1954, University of California. Similar to archaeologists or criminalists that try to avoid prejudices, hasty conclusions of often contradictory information or judgments, architects first need to carefully collect and document information and contexts as precisely and extensively as possible and – only with enough available information – develop first hypotheses and draw cautious interpretive conclusions. Furthermore, designing architects are recommended to keep a solution-finding process open as long as possible within the given frameworks. The understanding of a complex situation which constitutes the pre-condition of a spatial task demands a multi-dimensional understanding of a heterogeneously-layered background by collecting diverging and issue-related analytical drawings, spatial or functional diagrams, and found objects in the process of designing. Only then – by building on this knowledge step-by-step – can the designing person integrate this information into a procedure of synthesizing transformation or towards varying concepts for developing solutions to an architectural problem. If the architect’s perspective is directed towards the exploration of qualities of the design context rather than towards the goal, a search process is mobilized in which the field of designing and the attention of the designing individual are being opened through the (visualizing) observation of future partial problems to come (instead of focusing on pre-fabricated ideas). The individuals become interpreters of a mode of working in which they themselves excavate insights, which constitute a field of possibilities due to the variety of simultaneously ‘valid’ observations. Amidst the active centre of a network of inexhaustible relations, the Italian philosopher and semiotician Umberto Eco writes, they (here: the designing architects) are engaged in the continuous quest for interpretation, densification, intensification and organization of their own discoveries and observations. Quoted from: Eco. Die Poetik des offenen Kunstwerkes, p. 116: "(...) im aktiven Zentrum eines Netzwerkes von unausschöpfbaren Beziehungen" (cf. DJSMS, pp. 380-381). It is desirable to keep the procedure of meaning attribution in the design process open for various perspectives over a considerably long period of time. This openness is important with regards to the definition of (design) problems as well as with regards to the necessary context of knowledge to remain attentive and to refrain from hasty categorizations. This way, all hidden, unexpected and necessarily heterogeneous aspects of the context features can be filtered out in design processes. A constitutive part of the design process, this procedure of filtering serves the repeated re-structuring of a visual situation (cf. Arnheimer, p. 41) in order to find solutions. The design theory Schnittmuster-Strategie (Sewing Pattern Strategy, cf. DJSMS) introduces three key concepts as qualitative indicators for design processes in a research-oriented design practice: first, the (subjectively) selected constellation of contexts including morphological, typological, cultural, historical and social-economic knowledge levels, second, the analytic (mimetic) practice of a stepwise, creative investigation towards a multi-optional transformation and third, the transparent design of the creative process itself as fundamental pre-condition of cooperation (i.e., design as aesthetic instruction); cf. DJSMS: Teil 1 Schlüsselbegriffe, pp. 57-130. Considering the advantages of a design team in cooperative research, the parallel examination of different options by each of the team members, using various procedures or tools of design, demarcates a network-like field of opportunities (‘Möglichkeitsfeld’) for the finding of solutions for complex design problems. Throughout the course of visualizing analysis of the design conditions, the activation of knowledge, the on-site experience and the development of concepts leading to the finding of solutions, diverse historical and contemporary understanding of knowledge and the views of external stakeholders are successively integrated into the solution-making process. The simultaneous analytical design procedures, executed by the participants of a project team, create variable chains of decision which are leading to diverging assessments of partial aspects due to different aesthetic preferences. Already minor deviances in perception and interpretation regarding individual characteristics can lead to completely different solutions with different key quality. Cf. Schön: The reflective practitioner. Through the parallel interpretation of design conditions, an objectivizable space of decision can be created, spreading out a space of thought for all involved parties, visualizing the variables that can influence the path of solution-finding and hence makes them accessible for exchange and critical debate. The reflexivity of the designing individual is characterized by the capacity to integrate insights from previous design actions, and to synthesize and transform diverging contexts. The fields of varied opportunities are assessed and weighed. Current experiences and insights are compared to previously acquired knowledge and premises. Thanks to the consideration of multiple partial results – singular assessments – as a result of team work and the accompaniment via feedback, presentations, round tables and individual reflection phases within the process, the design experience can be enhanced for all participants and becomes open and accessible for criticism until final design decisions on the concept or project can be reached. A successive understanding of heterogeneous contexts selected as relevant for a task or question and the gradual integration into the design process renew the perspective towards the interconnective nature of the design conditions. This interconnection fosters the learning-oriented thinking in opportunities (‘Möglichkeitsdenken’) – the designing in and of alternative variations [Cf. DJSMS, p. 434]. Such a hermeneutically- and heuristically-inspired procedural initiation of search processes in design creates a dynamically-growing aesthetic relation between the context of historical and cultural material, its temporal layers and the parties involved in the design process. In an ideal case, this creates a dialogical climate of mutual learning and of negotiation of interests and aesthetic positions which finally leads to an architectural design, concept or project result that incorporates and synthesizes the multi-faceted opportunities of interpretation. 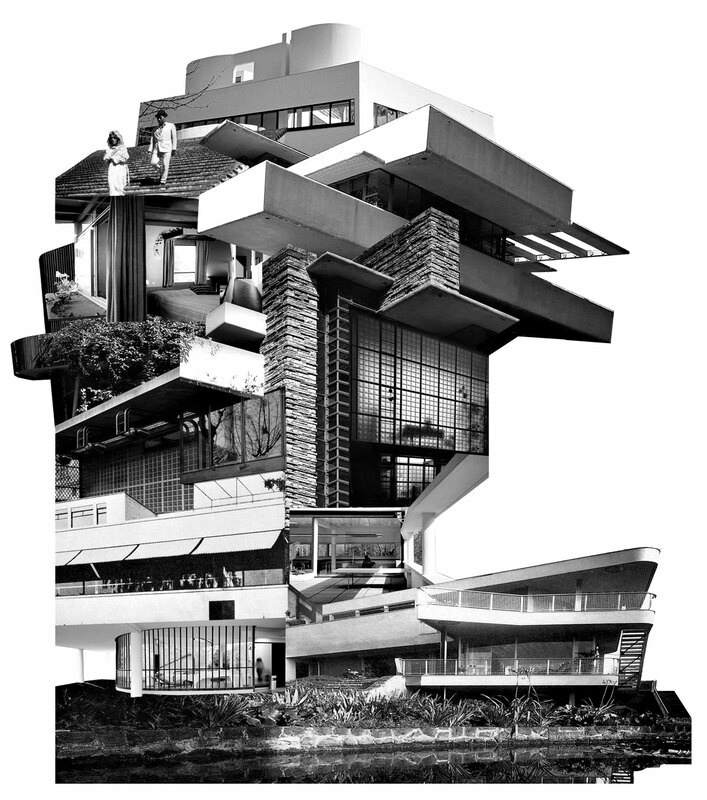 A scientific, rational and diagrammatic practice of architecture primarily stands in the rational tradition of functional design, which – since the Enlightenment and industrialization – ‘promised’ an objectivization of problem identification apart from processes of subjective ideas. Comparable to an analytical drawing or a scientific study, the diagram is a depiction of visual communication amongst architects, in which the graphic syntax renders legible the thematically focused object without distortions or exclusions (within the a priori defined research fields or topics), and seeks to objectively represent it. In a diagrammatic syntax, selected conditions are visualized through process-oriented and multi-perspectival techniques, demonstrated either in or out of scale, in logico-mathematic or relational fashions or in series of comparable facts. Diagrammatic representations constitute both the basis and the precondition for objectivized discourses about the understanding of facts, about foci of context and the design options. Inspired by informatics and mathematic chaos theory, diagrammatic design practice has become a common term in architectural discourses since the 1990s. In 1999, the interdisciplinary architecture magazine Daidalos published an issue about the current trend of diagrammania. In that issue, the editor Gerrit Confurius confirms that the diagram has taken the ‘first place’ amongst techniques and procedures of architectural representation since the middle of the 20th century. The diagram is said to “have outrun the drawing. (…) One believes the diagram to be able to depict, examine and explain the complex conditions we are constantly dealing with.” In that sense, the diagram (from Ancient Greek, diágramma, geometrical figure; contour) in a scientific context today replaces the drawing, which depicts the relations between defined and measurable proportions. While the diagram’s objectivity is promised via the correct representation of facts regarded as relevant for the design approach, the subjectivity of the representation with regards to the design result in architectural diagrammatic approaches still lies in the specific, individual selection and reduction of facts out of complexity and their temporal and value-laden boundedness as soon as it is being isolated from the real, complex contextual constellation (Kontextgefüge) via a condensation or focus on themes in the medium of a diagram. Quoted from: Confurius. Editorial, pp. 4-5: Das Diagramm hätte "der Zeichnung den Rang abgelaufen. (...) Man traut ihm zu, die komplexen Bedingungen darzustellen, zu untersuchen und zu erklären, mit denen wir es zu tun haben." The diagrammatically inspired, partially critical visionary or functionalist practice of form finding of architects like Greg Lynn, Cedric Price, Sauerbruch and Hutton, OMA and MVRDV, UN Studio, Team 10 or the Situationists are discussed and examined along the diverging lines of their heuristic and critical hermeneutic approaches. Since 2002, every two years, the interdisciplinary International Conference on the Theory and Application of Diagrams engages with the issue of diagrammatics. In the process of architectural research by design, diagrammatic statements can transform from analysis to interpretation by translating rationally accessible content or information (i.e., the graphic dimension of a visualized context of given conditions) into the generation of a concept. The layers of knowledge, from reading plans to functional diagrams, as well as the analysis of the site or urban fabric and the functional, programmatic aspiration to solve a task become the aesthetically defining point of departure for concept generation (or even the object of the morphology – shape or project’s character – itself) through focusing on the specific, objectively isolated conditions in the diagram and its transition into a form-finding design process. Quoted from: Vidler. Diagramme der Utopie, p. 10: "das Diagramm der räumlichen Funktion wird nahezu bruchlos in die gebaute räumliche Funktion überführt". Marc Angélil and Anna Klingmann attribute features of a militant hermeneutic of radical interpretation to diagrammatics as a method of designing. 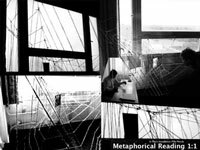 Departing from Paul Ricœur’s notion of interpretation, they assume that relativizing interpretations do not only concern texts, but extend toward actions, practices and processes of architectural thinking and acting via mapping strategies. With help of Umberto Eco’s understanding of interpretation as open and ambivalent process, Jacques Derrida’s approach to text through deconstruction and Roland Barthes’ notion of interpretation as spontaneous act full of relish that marks the transition from interpretation to materialization, these authors demonstrate the influence of hermeneutic theories on the design practice of architects like Daniel Libeskind (the drawing as an open, continuous variation), Peter Eisenman (architecture as a field of manifold settings of interrelations) and Frank Gehry (designing in automatic and playful flows). Angélil; Klingmann: Militante Hermeneutik, pp. 72-79. Instead of dealing with order, form, shape or composition as the dominant themes in design, at the end of the 20th century, more analytical, interpretive and at the same time creative practices such as re-skinning the city, (over)coding, mapping and the art of the copy are mobilized in diagrammatic analysis and express a contextualized, relational design practice under consideration of a multi-layered system of information [Cf. DJSMS, pp. 82-83]. Visible surfaces of phenomenological material that is relevant for the project are investigated by departing from the site and urban fabric. The research context or the available plan material are spatially objectivized and assessed via interpretive datascapes, and are critically and suggestively questioned or, by creating new interrelations, are superimposed or interfered with each other. The non-visible – i.e., conditions, memories and facts of social, political and historical relevance closely related to the research and project context – is integrated in the design process on an equal footing with the visible spatial conditions of an urban context in order to appear in the conceptual outcome. This way, a contextual analytical procedure of understanding becomes an interpretive reading and, simultaneously, a conscious process of transformation of a dialogically-inspired appropriation of the multi-faceted, culturally-shaped and agglomerated information of urban fabric. 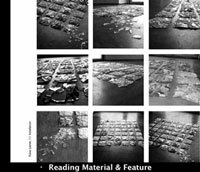 Selected and ‘read’ with a subjective focus, the obviously visible of the surfaces can be stimulated to reveal or decipher always new, invisible design materials in order to create manipulations, overlaps and interferences with everyday social spaces. Cf. Richter, XYZ, pp. 20-34; 136 ff. The expression of complicated, evil or wicked problems in architectural design processes has first been introduced into the discourse on design methodology by Horst Rittel and Melvin Webber in 1973. It refers to the incalculability of consequences of subjective individual decisions within and over the course of a design process, and the endless variability of design conditions: Through selection and reduction of fields of knowledge and the individual choice of methodological approaches, through individually specific evaluation of information and aesthetic decisions, every process of design can lead to completely different solutions. Different from experiments in natural sciences, in architectural design, there are no chains of decisions with an identical or predicable process sequence. Diverging insights, values or evaluations of spatial, cultural, financial or political contexts, which fundamentally influence the finding of solutions, shape the problem assessment throughout the whole design process, and are differently assessed by the engaged parties and individuals. Cf. Rittel, Webber: Dilemmas in a General Theory of Planning. In contrast to an individual work, an architectural team brings together a discursive chain of isolated perspectives on a design problem with regards to the problem definition, which always has to be negotiated and enhanced anew in a reflexive and iterative procedure. Through the increasing number of parallel interpretations of the context constellation – the conditions, fields of knowledge and qualities constitutive of and for the process of design – a respective current status quo of the concept (or of the project as elaborated so far) emerges. These conditions stand in relation to previous insights and in-between-solutions and might lead to further critical interpretations. The constantly evolving repertoire of knowledge is interrelated or densified in order to hybridize the solution or final position of a concept. The different partial insights are assessed (via one choice amongst many) for the respective next step with regards to its individual coherence which is dependent on individual decision preferences and influences the overall chain of design. The current status of the design process expresses the progress of knowledge growth and of context-related learning in its consecutive, yet multiple fields of opportunities [Cf. DJSMS, p. 88]. Adorno criticizes the technical procedure and the eloquence (‘Beredtheit‘) of mimetic aesthetics, which, for architecture design practice translates into the transformative aesthetics. Yet, he does not dispute the latter’s suggestive power, since previously non-recognized (blind) matter can find expression through mimesis: “This leads to a subjective paradox (…) To produce blind matter – the expression – from reflection – through form; to not rationalize the blind matter, but instead, to even just produce it aesthetically”. In the mimetic procedure, there already lies an inherently interpretive act which is present through the form (i.e., morphology or shape) that visually corresponds to the content. This form-giving action implies a selection of conditions, facts which are objects of attention or different modes of awareness in current events. Quoted from: Adorno. Ästhetische Theorie, p. 174: "Das führt auf eine subjektive Paradoxie (...): Blindes – den Ausdruck – aus Reflexion – durch Form – zu produzieren; das Blinde nicht zu rationalisieren, sondern ästhetisch überhaupt erst herzustellen". Cf. Langer: Philosophie auf neuem Wege, p. 263. The American philosopher Susanne Langer (1895-1985) developed an aesthetic theory as conceptual approach to the transformative nature of human recognition and creation which I have transferred to the design methodology for architecture (DJSMS). Even a seemingly objective natural scientific experiment can neither be designed nor understood without ascribed meanings. Neither the formulation of objectives, nor the arrangement of the experiment, its hierarchization or order can be arranged, assessed or evaluated without the respective background of meaning which considers the basic issue or question as well as the question’s (research) context. The initial selection of a knowledge context which is considered important for a concept and project result – and which has been depicted and analysed in the design process – is a crucial component for the assessment, transformation and interpretation of the final result. This is repeated in consecutive, mimetic processes of design and is exponentiated throughout the course of design. The isolation of partial aspects is conducted several times, and the result turns into an interference phenomenon (‘Interferenzphänomen‘; cf. Adorno, p. 174), because the awareness of interplays affects the next focus of interest, as well as the attention of the individual and its sensitization for a specific context. The thus acquired insights are weaved into a chain of relations with the respective previously recognized and perceived design material. This new knowledge is inscribed into the transformative process of the design memory and the design result itself [cf. DJSMS, pp. 90-91]. In contrast to data-based diagrams which might simplify and reduce complex design contexts through visualizing isolation, with help of an intended associative reading of traces, public testimonials or private memories, atmospheres of spaces or found objects and remainders can become points of departure for multi-layered, artistic interpretations. Different from the conventional figure ground plan (‘Schwarzplan’) or the analytical drawing, political, aesthetic, sociological, (auto-)biographical or historical aspects of complex spatial arrangements and atmospheres can be visually distilled, localized and developed in subjective cartographies, photo series, collages, installations, film material or models, in order to turn them into subject matters of processes of understanding and form finding themselves. What appears ancillary at first sight can unveil relevant meaning, or also be exaggerated or manipulated through the conscious reading of traces. Hidden stories, ruptures or unexpected interrelations can become visible to emerge as principal foci in design processes as a spatially complex dimension. Traces can appear as something unconventional or particular, something singular or ambivalent. They can appear as something that was just present or that has already disappeared, they can associatively be ‘charged up’ with meaning, re-interpreted and critically commented in order to level out stereotypes, to put seemingly evident ‘facts’ in limbo or to interrelate contradictory and displaced, past or present matters. While the diagrammatic objectivization constitutes a design tool or strategy for the scientifically-oriented realm of research and discursive solution-oriented design method, the associative reading of traces represents a procedure of architectural design which produces individual meaning-making processes via creating subjective, sensual, aesthetic, atmospheric and (auto-)biographical engagements with things, spaces and places. Today, artistically- and sociologically-inspired concepts are part of the methodological repertoire of research by design and the interpretation of places and buildings. The most influential artistic practices for architectural research through associative tracing include the following: The meaningful re-evaluation or re-localization of found objects has been pioneered in the work of Marcel Duchamp’s Ready Mades; the poetic artistic strategies with principles of randomness like the Papiers Déchirés that Hans Arp has experimented with; the dripping and frottage techniques by Max Ernst; Sophie Calle‘s performances and protocols of process sequences including narrative images and aesthetic documentations of private experiences; the perceptual strategies of the Stadtpromenadologie (‘Strollology’) as established by Bernard Rudofsky (Strassen für Menschen, ‘Streets for People‘, 1969) or the founders of the Spaziergangswissenschaft (‘Science of Strolling’) Lucius Burckhardt and his wife Annemarie; the aimless wandering called dérive, emerged as psycho-geographic reading of traces which became known thanks to Guy Debord and finally, Daniel Libeskind’s history-revealing semantic readings of plans and drawn interpretations of cities as mapping. These artistic research procedures allow for the variety of design strategies to unfold, and open up to processes of individual perception, re-placement and decipherage of meanings. They serve to discover or de-automatize routines at the beginning of design processes. Readings of traces go beyond the ‘pure’ analysis of morphological, topological and topographic space, and individually and critically engage with non-visible, heterogeneous information and the cultural humus of society in order to let designs flourish in the context of discoveries within existing structures and within relational constructs of social realities, to locate traces spatio-materially as well as psycho-geographically. 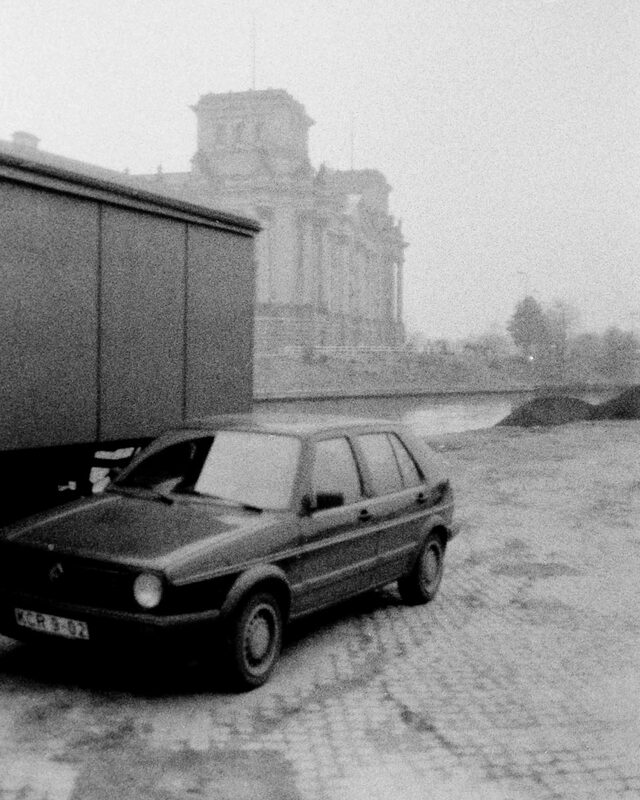 In Berlin’s architectural discourse in the mid-1990s, after the German Reunification, the future characteristic developments of the city’s urban fabric were controversially debated in public. The politically responsible planning authorities were mostly dismissive toward the socialist built heritage within the Eastern part of Berlin. Various attempts to ‘obliterate’ the materialized traces of GDR history and the ‘other’ modern period after 1945 of East Berlin in contrast to West Berlin were executed in instances of renaming, demolitions and ‘historicizing’ reconstructions. This stands in stark contrast to students’, artists’ and architects’ desires of the time to experiment with and discover the newly emerged and to-be-discovered free spaces, memories and life worlds after the opening of the Berlin Wall. At the art academy in Berlin-Weißensee (Kunsthochschule Berlin Weißensee) – which provided a meeting place for architecture students from East and West in a new post-graduate programme of architecture – a highly dynamic laboratory was temporarily instituted to bring forth alternative urban concepts, manifold interpretations and critical interventions regarding East Berlin’s urban spaces. Wastelands in the proximity of the former Wall area with stories to excavate, or former, now defunct or buried centres of powers, as well as abandoned or vacant residential blocks and dwellings of the Gründerzeit were becoming places of architectural and artistic engagement. In experimental group settings, the students from the former East and West laid bare historical layers of city ground plans, retraced hidden sites in countless wastelands and mapped spaces prone to disappear such as the insignias of socialist representations in art, architecture and built fabric. The students re-thought the future of inhospitable, large modular settlements (Plattenbausiedlungen); they read, interpreted and discussed traces and places; they de-hierarchized design material through readings of plans by implementing principles of rotation or sharing drawings. These rotating dynamics served to uncover processes of idea generation and should open design processes for groups to ultimately ‘charge them up’ and densify them with multi-layered knowledge and individual perceptions. International guests like Winy Mass, Daniel Libeskind, Kees Christiaanse, Dagmar Richter, Francine Huben and Peter Wilson as well as Berlin-connoisseurs like Rainer W. Ernst fostered unconventional views and experimental strategies in a workshop series and projects with regards to the critical engagement with the new constitution of the capital city of Berlin, supporting an understanding of this heterogeneous city as one of ruptures and contradictions, of boundary-drawings and eternal becoming. Living in Berlin since 1987, I was actively engaged in this phase of experimental teaching at Kunsthochschule Berlin Weißensee as a student, shortly after the fall of the Wall. 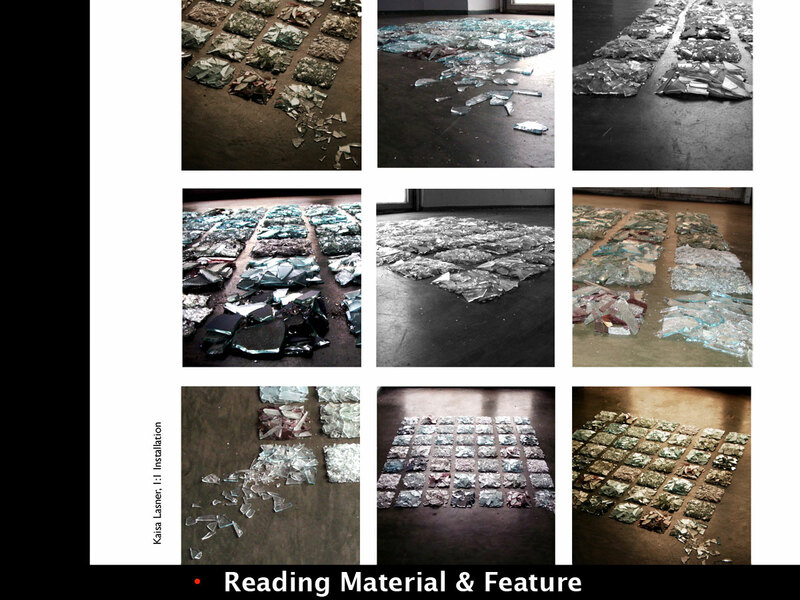 When the reading of traces is empirically put into design practice of group projects, the engagements of each individual participant unveil subjective associations, heterogeneous perceptions, issues and opinions, conceptual approaches, insights, characteristics, idiosyncratic discoveries and objects. If these discoveries are shared in the form of process-related public presentations of results, or the sharing of design strategies that are made accessible to all group members, these methodologies permit an accumulation of knowledge. Subsequently, these insights become subject of a multi-perspectival design process which succeeds to integrate diverse layers of history and a complex repertoire of spatial contexts in the design and planning process. Numerous non-state actors and stakeholders spoke up against the staunchly conservative aspirations of the planning authorities during that time – with strategies of individual appropriation, small-scale interventions and critical artistic interpretation. These engaged architects and artists irrevocably understand the city as a field of experimentation and continue to shape the city until today with more and more visible results [>>>Vol:II­_2.3. Berlin Laboratory: Local Strategies of Experimenting with the Commons]. With the artistic works of a whole generation of artists and architects – photographs and architectural observations, the exhibition Berlin 89/09. Kunst zwischen Spurensuche und Utopie (2009) exemplifies that the aesthetic appropriation via deciphering and interpreting of traces can elicit a critical consciousness which works against a rapid economization. Since 1991, the influence of Hans Stimmann as Senatsbaudirektor (town architect) of Berlin cumulated in the so called "Planwerk Innenstadt" (confirmed in 1999), an urban master plan for the inner city which established the paradigm of the "critical reconstruction", the historical revival of the urban block of the Gründerzeit, in the long-run, ignoring the planning paradigms especially valid in formerly East Berlin and realized until the 1970s, e.g. with the urban planning of Alexanderplatz and Marx-Engels-Forum. Cf. the opposite standpoint, the publication of Philipp Oswalt, which demonstrated the heterogeneousity of Berlin's urban fabric: Berlin – Stadt ohne Form. Strategien einer anderen Architektur. München 2000. Artistic works such as Sophie Calle’s series The Detachment and Potsdamer Platz Anno Zero by Arwed Messmer or the work Baut Tatlin by Norbert Kottmann, which were exhibited at Berlinische Galerie 20 years after the fall of the Wall, bear witness of this generation of artists and architects. Author Elif Shafak writes about the contemporaneity of Berlin’s laboratory of past and presence, which does not take position for either remembering or re-inventing – precisely highlighting the quality of the creative climate of the city after the Reunification. Berlin 89/09. Kunst zwischen Spurensuche und Utopie. G. Fassbender + H. Stahlhut (Ed. ), Berlin 2009. Shafak, Elif: Das Gewicht der Worte, in: Die ZEIT, no. 31, p. 54. In the engagement with the built, difficult Stasi-heritage (former State Security of GDR), neglected and forgotten in Cottbus and Berlin more than 10 years after the fall of the Wall, individual strategies of reading traces gained traction. 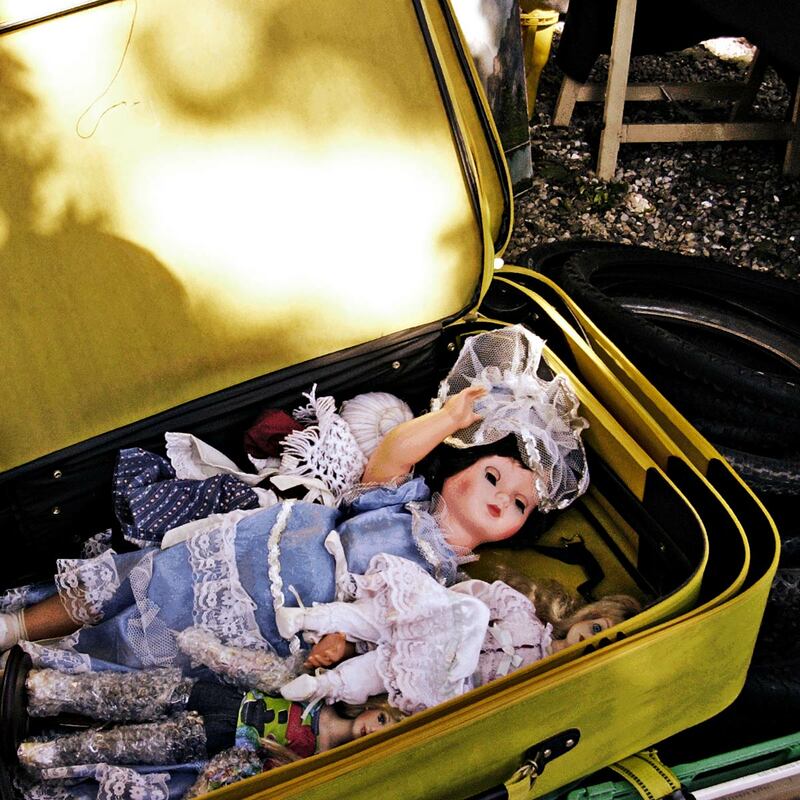 The interpretation of found objects or collective mapping approaches served to make these ignored sites visible for public discussion and discourse, and sought to sketch potential futures through multi-perspectival thought spaces. These methods were applied in the international graduate programme of Reiseuni_lab between 2009 and 2012 in order to discuss diverse and multi-cultural insights, to challenge personal discoveries of young architects in design projects and to allow for aesthetic commentaries in diverse working teams to spatialize objectivizable knowledge for related stakeholders [>>>Vol:III­_1.1 Transformation of Difficult Heritage. Exemplary Transformation of the Building(s) of the ancient GDR Secret Service in Germany]. In the 1990s, influential architects and teachers like Daniel Libeskind, Peter Eisenman, Berhard Tschumi, Peter Latz or Dagmar Richter experimented with a research-oriented, diagrammatic practice of design as tracing of urban and building contexts. Their design approach transformed strategies of objectivizing diagrams as generators of design into a diagrammatic and meaningful reading of traces. Analytical procedures like the dissecting diagram, mapping, sketching, collage, intervention or the model served the interpretative, reflexive and critical readings of cities, prominent in design approaches such as Cardboard Architecture (P. Eisenman). The deciphering of spatial layers of contextual complexity sought to challenge existing conventions of visual representations of cities and forged to sharpen the accepted aesthetics of power with the goal to criticize and subvert them. German Architect (*1955), professor at Pratt Institute, NY, previously professorships at UCLA Los Angeles, USA; Kunsthochschule Berlin Weißensee, the State Academy of Visual Arts, Stuttgart; Harvard University, Columbia University, Cooper Union New York. In 1995, I have experienced the design strategies of D. Richter in workshops in Vienna and Berlin as a student. The previously invisible or superimposed character of urban design contexts can be illuminated in transformative works of translation, in complex, grown and overlain heterogeneous contexts that are discursively excavated, exposed and exaggerated in their contrariness and incoherence via reading procedures through drawings. Design processes and realizations such as the Jewish Museum in Berlin (1988-99, Daniel Libeskind), the House IV in Cornwell (1972-75, Peter Eisenman), the Park de la Villette in Paris (1982-83, Bernhard Tschumi), the Landscape Park Duisburg-Nord (1990-2002, Peter Latz) or the competition design for the New Royal Library in Copenhagen (1993, Dagmar Richter) represent prominent examples of these critically heuristic and hermeneutic practices. The perpetuated variations of the Embryological House (1998, Greg Lynn) pass the concept of a concluding, ideally-shaped design result, but also illustrate the unlimited iterations of a project as consequence of radical relativization (and priorization) towards individual needs and functions. Within a seemingly endless series of an always-already open chain of design events and decisions, Lynn’s design process assumes design results as products of mass customization to implement individually unique spatial variations. Without evaluation or ascriptions of meaning, no insight or visibilization of design can be realized. Routinized practices of seeing can be displaced and mobilized by unconventional perspectives towards views of the unknown and the previously undiscovered. The engagement with culturally and temporally heterogeneous contextual references enlarges the traditional reflection of space and architectural typology. The selection of contextual references from past and presence create a value-laden framework which allows to explore, criticize and favour the respectively discovered objects and insights under conditions of hierarchy and prioritization. Ultimately, these recognitions should be abstracted, cleared or multiply interwoven into value-laden design compositions, condensed into interference phenomena and stored respectively in meaningful spatial compositions to engage with spatial complexity. These spatial compositions can be considered as aesthetic statements as they evaluate the already existing features and hence, prescribe the design of futures – “as if not every insight (…) would liquidize the ossified things, and their histories would thus become apparent”. Cf. Adorno: Ästhetische Theorie, p. 174. Quoted from: Adorno. Negative Dialektik, p. 135: "Als ob nicht jede Erkenntnis (...) die erstarrten Dinge in Fluß brächte, eben dadurch in ihnen der Geschichte gewahr würde." (Cf. DJSMS, pp. 367-368). 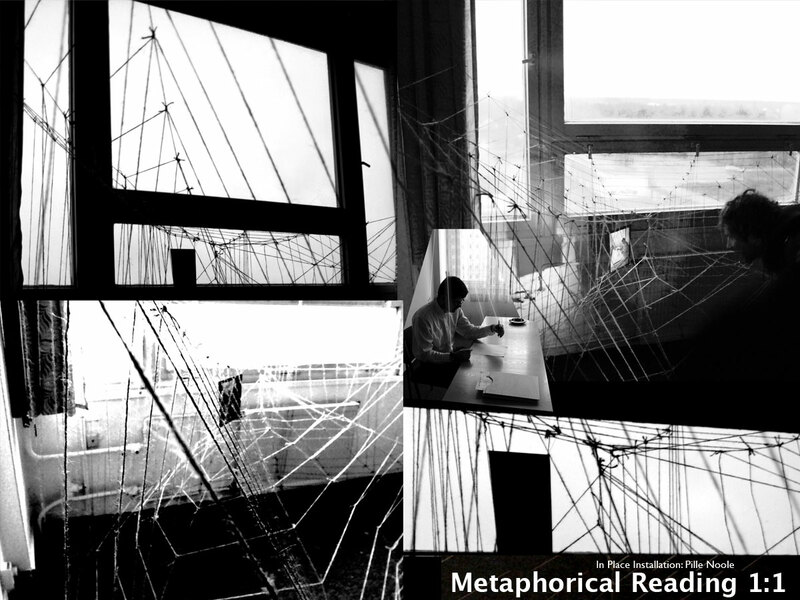 Dieter Mersch adequately writes about the risk and precarity which can become visible in concepts of artistic hermeneutic procedures in the “practice of separation and connection of disparate materials, the disruption of medial structures, the surprising contrasting and combining of perspectives, the graphic distortion, the search for the abstract in the concrete, the design of the boundaries of perception”. One can refer to these strategies of finding and transforming existing contexts or other design generators that integrate procedures of randomness as half-automatic. Half-automatic procedures initiate design acts, which make room to follow intuition, personal association and the attentive perception at the beginning of a design or planning process, with the objective to recognize features or design opportunities beyond the objectivized collection of facts and the organization of function-based, spatial programmes. Quoted from: Mersch. Kunst als epistemische Praxis, p. 38: "(...) Praktik der Trennung und Verbindung disparater Materialien, der Unterbrechung medialer Strukturen, der überraschenden Kontrastierung und Kombination von Perspektiven, der graphischen Verzerrung, der Suche nach dem Abstrakten im Konkreten, der Gestaltung an den Grenzen der Wahrnehmbarkeit (...)". Design approaches of finding are based on an understanding of design which is grounded in the experimental logic, so that “these constructs incorporate characteristic traits (…) which are not calculable in the production process; that, subjectively, the artist would be surprised by his findings.” But it is only the subjective control that liberates the artist in her or his experiment, according to Adorno. For the architectural process, this means the pre-determination of design acts (or steps or periods) through experimental catalogues of aesthetic rules, the exaggeration or sharpening of pre-defined programmatic rules or thematic foci leverage artistic freedom. 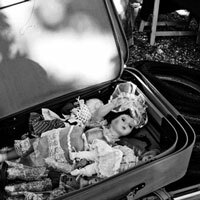 Subsequently, the aesthetically-motivated reading of traces, the ‘stuff’ of departure becomes narrative material for new stories and new layers of meaning thanks to displacement, contextual shifts and interpretation. These new stories are anchored within existing complexities as chronicles of time and space via materialized localizations. Adorno: Ästhetische Theorie, pp. 63-64: "(...) die Gebilde Züge enthalten (...), die im Produktionsprozeß nicht absehbar sind; daß, subjektiv, der Künstler von seinen Gebilden überrascht werde". Two examples of experimental pioneer projects should illustrate the strategy of diagrammatic reading of traces and associatively-laden design with found material as a central point of departure for a cooperative definition of spatial programmes and form finding. First, the realized design for the Haus Zirl in Austria (1992-97, architect Ernst J. Fuchs, today: The next ENTERprise, Wien) and second, the conceptual project Stapelvilla® (2004-08, jp3.Architekten, Berlin). Ruby: Espace trouvé, pp. 62-71. This project is part of a research period on housing, seeking for hybrid, inter-generational modes of living and working by jp3.de between 2004 and 2008: [http://www.stapelvilla.de/; 23.07.2013] and has been examined in the form of publications, exhibitions and an academic design research project. Haus Zirl emerged on the basis of a random generator, which the architects developed to stimulate residents’ creative participation in the design process. An agglomeration of model ‘shreds’ constituted the point of departure. In a first step, a working mock-up was shaped by the architects to the maximum volume of the three-dimensional buildable ground and re-shaped in accordance with the existing planning regulations. The inhabitants ‘poured in’ their ideas about life in horizontal and vertical intersections, which are extracted from this volume of shaped model shreds. The tightly pressed model substance – variously cut open horizontally and vertically – offers a potential richness of lines, forms and spaces for an associative process of ‘continued design’ for the future residents. The latter can associatively insert their own intentions and considerations about the composition of needed spaces to live into the randomly emerged ‘sewing patterns’. Subsequently, the functional, yet not pre-defined horizontal and vertical ground plans are based on building rules, but also open up the built translation of the conception towards realization as an aesthetic dialogue between residents and architects. For the emergence of the experimental residential block Stapelvilla®, seven historical architectural concepts were chosen to provide the associative background for the generation of programme and space: Excerpts from diverse and heterogeneous existing plans – floor plan ‘snippets’ – of modern architectural representations such as Villa Savoye, Falling Water or Haus Schminke, which are deeply anchored in the collective memory of architects and architecture-related professions as spatial archetypes, were selected as aesthetic design material. These iconic and meaningful fragments are re-scaled and re-interpreted, re-arranged and re-assessed first by the architects as a collage. Subsequently, they are re-positioned in a new context of an exemplary site at the formerly industrialized waterfront of Berlin Kreuzberg – as a composition including eleven different, stacked ‘urban villas within one block’. This spatial collage is the starting point and manifesto for a next creative period: Newly interrelated, interpreted and vertically stapled together as multi-faceted, yet dialogical volumes, these testimonials of the heterogeneous architectural modern period of the first half of the 20th century unfold a new dense spatial structure which invites future residents to continue to ‘further knit’ their inner lives into the urban built fabric. The maps, which are now based on historical and contemporary experiences, create the associative foundation for future residents to adopt, appropriate and transform aesthetic concepts according to their own needs and positions. Residents’ engagement in creative mimesis within the urban context truly enlivens the idea of an inter-generational home. Reading of traces and interpretations as integrated periods of interactive design processes unpack possibilities for the involved parties to engage with the programming of spaces, but also with regards to the architecture-historical concepts and biographical visions of living fostering the articulation of aesthetic ideas and individual needs. The aesthetic appropriation of spaces in complex spatial arrangements is made available for future residents via a dialogic design processes prior to their move-in. The associative space of spatial fragments – the creative material of the design process – requires empathy and spatial imagination for the following multiply-interlaced arrangements and the development of optional, connective points in multi-faceted spatial compositions. Evoking a reflection of formerly unquestioned stereotypes of beliefs, habits and needs, and questioning conventional images of ‘how to live’, this friction caused by the associative design material as thought space activates a positioning with regards to individual intentions concerning life models and stimulates imagination, transformation and renewal of ideas. While the diagrammatic reading of traces focuses on individual perceptions of always specific, always complex features, atmospheres or interrelations, when investigating a unique place or architectural task, the analytic drawing or analytical diagram focus on the objectivization and crystallization of research-oriented design results. Moreover, the visualizing alternative of analytic drawings or diagrams provides programmatic opportunities and various potentials to design heterogeneous contexts. The often contradictory or irreconcilable expectations and requirements of projects are examined, recognized or accentuated through different approaches; then, they are integrated into processes of knowing in order to allow for synthesizing and interconnecting design work. Ultimately, new interplays between new spaces, programmes, contexts and social realities emerge. Already acknowledged matters are embedded in contexts of personal experiences as constitutive parts of societal traditions, fostering new knowledge via subjective appropriations which are exteriorized through representations as designed projects. Via aesthetic translations, the tradition continues to exist, yet is transformed by the meaning-laden perspectives of the observer – the perceiving and designing individual. In open discussions and experimental scenarios, pioneer projects become objects of reflections and transformations of societal conventions: “Traditions are immanent in awareness itself (…) as the mediating moment of its interests” and knowledge itself already “partakes in tradition as an unconscious memory”. A transformed continuity of already thought matter and a notion of reality emerges [ibid. : p. 64]. The past and present contextual constellations serve as references for the designing individual in order to “not negate tradition abstractly, but instead, in order to criticize the current status quo in a non-naïve manner: This way, the present constitutes the past.” The selection of contextual traits, which – through transformative design strategies – are visibilized and thus can be ‘stored’, confront both presence and past layers of meaning and power in an interdisciplinary fashion (cf. DJSMS, p. 365). Quoted from: Adorno. Negative Dialektik, p. 63: "Tradition [ist] der Erkenntnis selbst immanent (...) als das vermittelnde Moment ihrer Gegenstände" und Erkenntnis "hat an sich (...) teil an Tradition als unbewusste Erinnerung". Quoted from: Adorno. Ästhetische Theorie, p. 68: "Tradition (...) nicht abstrakt zu negieren, sondern unnaiv nach dem gegenwärtigen Stand zu kritisieren: so konstituiert das Gegenwärtige das Vergangene." The reading of traces and diagrammatic design research serve to establish relations between visible and non-visible constellations, tangible and non-tangible layers of contextual references as well as between involved stakeholders and architects. Architects first need to understand and learn about contexts via visual appropriation before intervening in space with design proposals or commentaries or even just to move to judgements, thoughts and perceptions. Quoted from: Eco. Die Poetik des offenen Kunstwerkes, pp. 134-135: "Wie kann ich die Welt als ein tatsächlich existierendes Individuum erfahren, wenn keine der Perspektiven, unter denen ich sie betrachte, sie zu erschöpfen vermag und die Horizonte immer offen sind? ... Der Glaube an das Ding und an die Welt muß die Annahme einer abgeschlossenen Synthese miteinschließen – und doch wird dieser Abschluß unmöglich gemacht durch die Natur der zu korrelierenden Perspektiven selbst, weil jede von ihnen durch ihre Horizonte ständig auf andere Perspektiven verweist ... Der Widerspruch, den wir zwischen der Realität der Welt und ihrer Unabgeschlossenheit finden, ist derselbe wie der zwischen der Allgegenwärtigkeit des Bewußtseins und seinem sich Engagieren in einem Gegenwartsfeld ... Diese Ambiguität ist nicht eine Unvollkommenheit des Bewußtseins oder der Existenz, sondern die Definition davon". The article is based on the lectures of the workshop series called “Design Reflection 1”, Tallinn University of Technology, September 2015, 2016. Adorno, Theodor W.: Ästhetische Theorie. Gretel Adorno, Rolf Tiedemann (Eds. ); Frankfurt, Main 1970. Adorno, Theodor W.: Negative Dialektik. Jargon der Eigentlichkeit. Rolf Tiedemann (Ed. ); Frankfurt, Main 1966 (1990). Angélil, Marc; Klingmann, Anna: „Militante Hermeneutik. Interpretation als Entwurfsmethode“, in: Daidalos No. 71, 1999, Entwurfsstrategien. Arnheim, Rudolf: New Essays on the Psychology of Art. Berkely, USA 1986 (1991). Confurius, Gerrit: Editorial, in: Daidalos No. 74, 1999, Diagrammania, pp. 4-5. Eco, Umberto: „Die Poetik des offenen Kunstwerkes“, in: Im Labyrinth der Vernunft; Kritik der Ikonizität. „Opera aperta“. Mailand 1962. Michael Franz, Stefan Richter (Ed. ); Leipzig 1989 (1995), pp. 113-142. Fischer, Theodor: Sechs Vorträge über Stadtbaukunst. Berlin 1922 (1941), pp. 86-123. Freiesleben, Antje; Grazioli, Alfred: Der gedachte Raum. Methodik einer Architekturentwurfslehre. Berlin 2005. Gadamer, Hans-Georg: „Grundzüge einer Theorie der hermeneutischen Erfahrung“, in: Hans-Georg Gadamer. Hermeneutik I, Wahrheit und Methode. Gesammelte Werke. Bd. 1, Tübingen 1960 (1990), pp. 270-384. Gangsterer, Nikolaus: Drawing a Hypothesis. Figures of Thought. Wien 2011. Gestalten with Antoniou, Antonis; Klanten, Robert; Ehmann, Sven (Eds. ): Mind the Map. Illustrated Maps and Cartography. Berlin 2015. Jäger, Dagmar: Schnittmuster-Strategie - Eine dialogische Entwurfslehre für Architektur, Design und Kunst. Berlin 2008 [quoted as: DJSMS]. Jäger, Dagmar: „Zeich(n)en im Kontext – Potenziale eines imaginären Ortes. Signs and Drafting in Context - Potentials of an Imaginary Place“, in: Bergbaulandschaft und Bergbaugerät nach dem Bergbau. Internationale Bauausstellung Fürst Pückler Land (Ed. ); Großräschen 2001, pp. 42-53. Kandinsky, Wassily: Punkt und Linie zu Fläche. München 1926. Kandinsky, Nina (Ed. ), Bern-Bümpliz 1955 (1973). Koschatzky, Walter: Die Kunst der Zeichnung. Technik, Geschichte, Meisterwerke. Salzburg 1977 (1999). Langer, Susanne K.: Philosophie auf neuem Wege. Das Symbol im Denken, im Ritus und in der Kunst. Philosophy in a New Key. A Study in the Symbolism of Reason, Rite and Art. Cambridge (Mass.) 1942, (Frankfurt 1965). Mersch, Dieter: „Kunst als epistemische Praxis“, in: Kunst des Forschens. Praxis eines ästhetischen Denkens. Elke Bippus (Ed. ), Berlin 2009, pp. 27-47. Richter, Dagmar: XYZ The architecture of Dagmar Richter. New York 2001. Rittel, Horst; Webber, Melvin: „Dilemmas in a General Theory of Planning“, in: Policy Sciences Vol. 4; Amsterdam 1973, pp. 155-169. Ruby, Andreas: „Espace trouvé. Über das Entdecken als Entwurfsstrategie. Das Haus Zirl von Ernst J. Fuchs.“ In: Daidalos No. 71, 1999, Entwurfsstrategien, pp. 62-71. Schlögel, Karl: Im Raume lesen wir die Zeit. München 2003. Schön, Donald A.: The reflective Practitioner. How Professionals think in Action. New York 1983. Vidler, Anthony: „Diagramme der Utopie“, in: Daidalos No. 74, 1999, Diagrammania, pp. 6-13.